A fine example of Classical Revival architecture, the Turner-Dodge mansion is a National Historic Registered Place. The beautifully restored home was built in 1858 by James and Marion Turner, who helped establish the Capital City. The home was recently restored to the turn-of-the-19th-century period and is maintained by the City of Lansing Parks and Recreation Department as a Cultural Heritage Center. 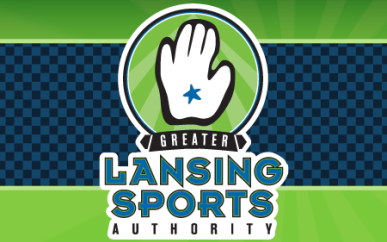 Directions: FROM NORTH: Business 27 south (approximately 4 1/2 miles from 69) to Grand River Avenue (you will veer off of Business 27 to the right just past Lake Lansing Rd. which deadends on the left). Follow the signs to go to the airport. Go approximately 1/4 mile on North St. (Grand River Avenue). House is on the lefthand side (south). FROM EAST: 96 West to 127 North (Exit 106B). Take 127 North to 496 West. Take 496 West to Pennsylvania Ave./Larch St./Cedar St. (Exit 7). Take Larch St. north approximately 2 miles. Follow the signs to go to the airport. You will veer off Larch St. to the right and go under the overpass. You will be on North St. (Grand River Avenue). Go approximately 1/4 mile on North St. (Grand River Avenue). House is on the lefthand side (south). FROM SOUTH: 127 North to 496 West. Take 496 West to Pennsylvania Ave./Larch St./Cedar St. (Exit 7). Take Larch St. north approximately 2 miles. Follow the signs to go to the airport. You will veer off Larch St. to the right and go under the overpass. You will be on North St. (Grand River Avenue). Go approximately 1/4 mile on North St. (Grand River Avenue). House is on the lefthand side (south). FROM WEST: 96 East to Grand River Avenue/Bus. 96 (Exit 90). Take Business 96 East (Grand River Avenue) approximately 5 1/2 miles (you will go past the airport on the lefthand side (north). House is on the righthand side (south) before you reach Larch St. Hours of Operation: Open Tue.–Thu. 1–7 p.m. Closed holidays and for special events. Handicap accessibility on the first floor only. Admission Price: For more information on tours and pricing call (517)-483-4220. Admission: $5. Lansing Residents $3.50.